Some people celebrate an alternative to Halloween based on something that happened on this day (October 31) in 1517. Monk and scholar Martin Luther nailed a piece of paper to the church door at the Wittenberg Castle, Germany. This event sparked a giant controversy which resulted in profound religious and political changes that are with us to this day. On the paper, Luther had written 95 statements reflecting his opinions about practices in the church during his day. They are often called the “95 theses”. Many societal reforms we take for granted would probably have been impossible without Luther’s opinions. Some people celebrate the event as Reformation Day, complete with very cute costumes (see below). In the spirit of a day celebrating documents that changed the world, one family made a Declaration of Independence costume. 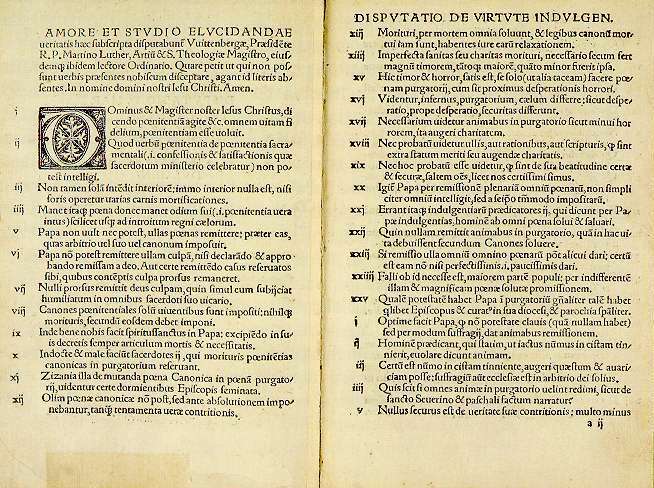 It is a natural outcome of Luther’s theses that he went on to translate the Bible into German. He held the opinion that everyone should read and interpret the Bible for himself or herself. That could not happen until people had a Bible in a language they knew. Translating the Bible into the minority languages of the world continues that thinking. So, Bible translation and the day on which Halloween falls are linked in a round-about way. If you liked this, you might also like, The Day Tribal Ended, Nida, or John Agama. This entry was posted in Bible, Bible impact, Bible translation, Christianity, Heart language, Religion, Translation history and tagged 95 theses, bible translation, halloween, halloween alternative, halloween costumes, heart language, Martin Luther, reformation, Reformation day, translation of the Bible. Bookmark the permalink.